HEADLIES: Cyber Monday Sales of New Becky Lynch Playset Crash WWE.com - WrestleCrap - The Very Worst of Pro Wrestling! 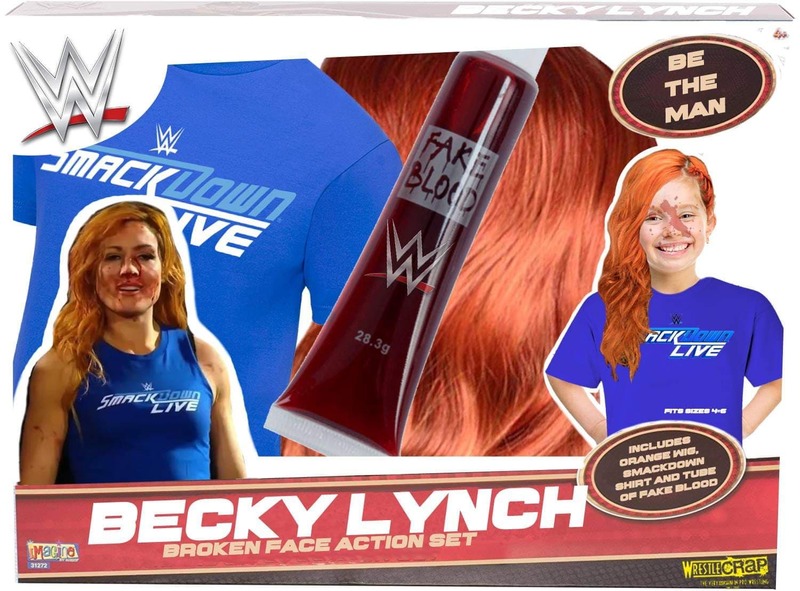 Stamford, CT – Overwhelming Cyber Monday sales at WWEShop.com temporarily crashed the web site’s servers as the WWE unveiled their hottest gift for this Christmas season: the Becky Lynch Broken Face Action Set. Hoping to cash in on the incredible rise in popularity of the hottest star in the WWE today, Smackdown Women’s Champion, Becky Lynch, the action playset retails for $34.95. Critics warn this product could lead to fake blood permanently staining clothes and carpets, and definitely caution using this playset around any members of the Maivia family, as it does not include a doctor’s note excusing a child from missing school due to injury. 4 Responses to "HEADLIES: Cyber Monday Sales of New Becky Lynch Playset Crash WWE.com"
Oh you mean a tube of red viscous fluid that certain vampire like characters would drink. Maybe they’ll make this into a WWE Network Christmas special event, Becky The Broken Nose Main Eventer. Toys R Us went out of business just a few months too soon, if they had survived through Thanksgiving and given the Man’s sudden surge in popularity, all those hundreds of unsold Becky Lynch action figures would have been the number one seller on Black Friday. 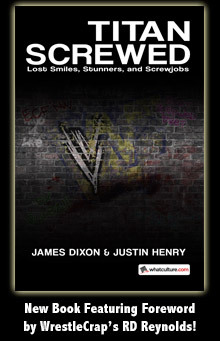 Funny that you mention the Maivia family. I think the High Chief really missed a trick by failing to market “Billy Robinson Half-Chewed Face Action Sets” back in the day. My little niece just saw the picture on this headlie and now wants this playset really badly. I guess Becky is pretty popular with little girls these days.